clear line. His shadows and heavy blacks sometimes confused me. This works so well, it's more accommodating for O'Grady's colours and easier to read even at the smaller page size. I am the opposite where his earlier work did not work for me. He has become one of my favourite artist. His work on this and the recent Jaegir was great. You must check out his work he has done for Vertigo on The Royals: Masters of War (2014), this is some of his best work ever. I am the opposite where his earlier work did not work for me. One artist whose development has been simply phenomenal. From Low Life on he can do no wrong. From Low Life on he can do no wrong. Unfortunately I found The Vigilant incomprehensible for the most part and the bits I understood seemed to have little or no plot. The artwork was lovely throughout but if Rebellion are going to put this much money and effort into a project they need a decent story as a foundation. Very disappointing. On the artwork front I'd have to push a strong recommendation for Dreaming Eagles that he did with Garth Ennis. A cracking piece of work and one that works a lot better as a collected whole. The Vigilant very much read as a teaser for the potential of the different characters but I know what JamesC meant about plotting. I don't know if I'd go with incomprehensible but certainly it did require close reading and a bit of backtracking to follow what was happening. Then there was the realisation that the main story had finished and it was now a series of character vignettes to try and fill in the gaps in the back story. Overall a reasonable bit of work. Let's face it, the main American companies churn out a hell of a lot worse on a regular basis and keep on going. But I can't for the life of me work out who the old woman with the hammer is..
Do love it when artists significantly change their style! 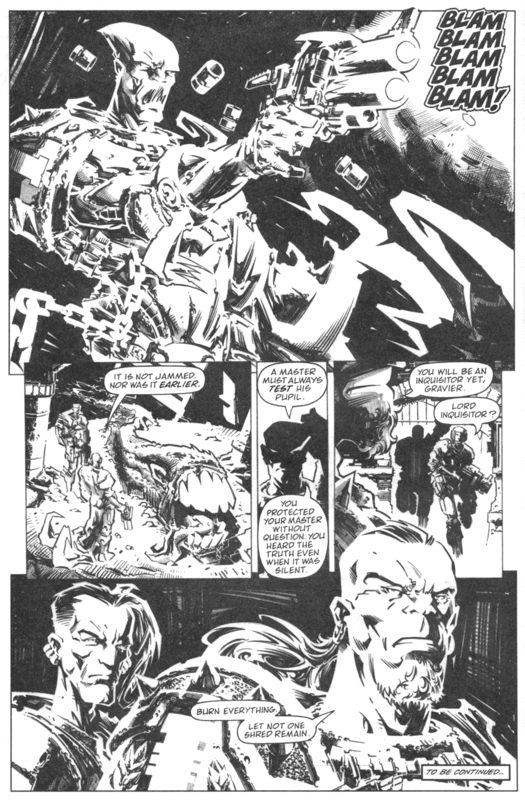 Apart from McMahon, Coleby is the obvious example of this and it's one reason I like his stuff so much. The Royals looks stunning. Having read it now, I'm a bit in two minds. I can see what they were trying to do, but it is almost absurdly dense. That said, when you step back a bit, what you're essentially getting is a US comic (in terms of length) written like a six-page 2000 AD strip. So it rockets along, shoving all and sundry into the mix, and barraging you with details. I certainly felt I got more out of it than a typical Marvel comic, but I do also largely agree with whoever said it felt a bit like the comic equivalent of watching Infinity War without having seen any of the previous Marvel movies. I do also largely agree with whoever said it felt a bit like the comic equivalent of watching Infinity War without having seen any of the previous Marvel movies. Looked great but didn't enjoy it. Freaking loved The Vigilant and eagerly awaiting issue 2, great work reviving these old fan favourites guys! Haven't been near a comic shop this week, but I must say I'm hankering after this. When folk say 'dense' and 'had to read it a few times', I think: 'ace, value for money!'. 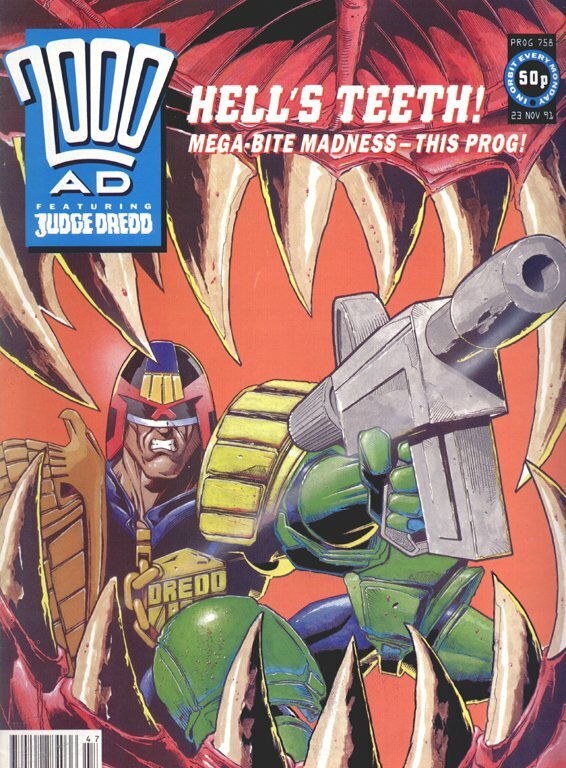 See also: the current "Better Class of Criminal" McConville Dredd story, lovely long read, nicely situated in a futuristic, crazy and suitably jam-packed MC-1. Nothing annoys me more than shelling out for a comic and having it read while I'm queuing at the till. Hope there's still some in Big Bang (I know there will be, those boys haven't let me down yet). Oddly enough, despite not being entirely taken with it, I'd happily subscribe for a year if this was a monthly – at least if Colby was doing the art. I did also chuckle at Furman getting one of his Furmanisms into the mix (albeit not "it never ends"). I also think I'll have a re-read after delving back into last year's Misty special first. ... which is exactly where I picked up my copy from. It needs that high street support. Personally I'd rather see more comics on the high street than we are seeing at present. Then again I remember fondly trolling round newsagents in search of the different titles they stocked back in my early collecting days. Comic shops tended to be insane comic overload. Today, tat overload.